From the Bike Fed: "As the state budget is being debated later this spring, 2013 is a critical year for securing vital bicycling funding and passing Vulnerable Users’ legislation. 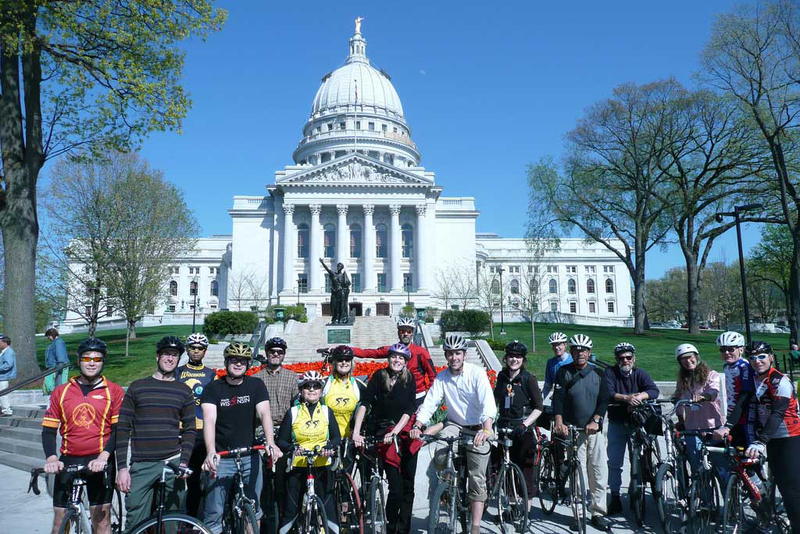 Join with hundreds of bicyclists from across Wisconsin to continue to push pedaling and celebrate 25 years of bicycle advocacy!" “I am not an advocate for frequent changes in laws and Constitutions. But laws and institutions must go hand in hand with the progress of the human mind. As that becomes more developed, more enlightened, as new discoveries are made, new truths discovered and manners and opinions change, with the change of circumstances, institutions must advance also to keep pace with the times. We might as well require a man to wear still the coat which fitted him when a boy as civilized society to remain ever under the regimen of their barbarous ancestors.” Thomas Jefferson.